June was another great month for The Avsource Group. We completed and continued to stay busy on several projects all over the world. We had a productive annual meeting in the beautiful mountains of western Colorado, where we discussed current and future projects. Please see below a list of our June completed and current projects. Completed an Export Certificate of Airworthiness for a MD-80 going to Argentina. Conducted an Aging Aircraft Inspection of a 767-300 at IAI, in Tel Aviv, Israel. Continuing projects in San Antonio, Texas for two B737-400s, undergoing bridging checks. 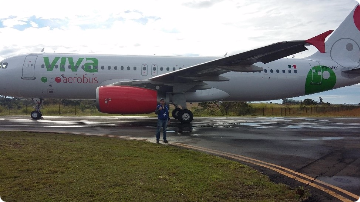 ​Our team is continuing to assist the largest Latin American Airline on their redeliveries. We are currently working on 9 re-deliveries. including A319s, A320s and A330s in São Paula and São Carlos, Brasil San Jose, Costa Rica and Abu Dhabi (UAE). Assisted our client on two pre-purchase inspections of (2) E195s. Completed two mid-lease inspections on (2) E195s. 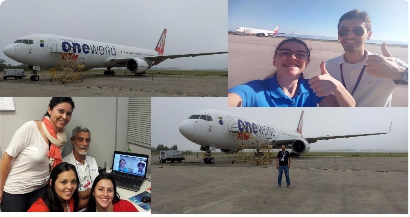 Were awarded the contact to perform six mid-lease inspections on (6) E195s by a major financial institution in combination with the third biggest Brazilian Airline.